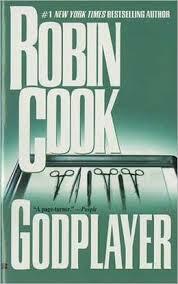 This novel was a medical thriller classic. It was interesting & engaging…..two qualities that make a medical thriller work. The gripping ending was well written & the characters captivate the reader. The idea of SSD (Sudden Surgical Death) is well laid out in this book along with many other soul searching questions associated with the medical field. However, the main question put forward in this book is one which is still asked till this day………..who can judge who really requires expensive medical aid of a hospital……..everyone ? even when there are shortage of beds ? even those who we know won’t survive for long ?……who is going to bell the cat…..who is going to play God ? The story is well presented with a lot of heated dialogues about what is morally right & what isn’t when one is concerned about treatment. The easy way a person can kill another in a hospital is also very well described in this book. To give internists a chance to work on patients, the risks involved & all the information about a surgery that is kept a secret from unquestioning patients is well illustrated in this novel. The delicacy of cardiac surgery is also one of great importance that is presented in this novel & how many people each day die of heart related symptoms. Another idea that presents itself in this book is about the egoism & narcissistic tendencies of excellent surgeons. The pressure on good surgeons is tackled very well by Robin Cook including the way such surgeons often take recourse to drugs to overcome the sort of ‘emptiness’ they feel within after too much of adulation. However, as the book describes, such surgeons often are unable to be in control of their thoughts & emotions & therefore, have a terrible end. Two characters that stand out in this novel are the famous cardiac surgeon Thomas Kingsley & his wife Cassandra (Cassi) Cassidy who is a first year psychiatrist who was earlier into pathology. Both are very different characters. Though Cassi is the protagonist in the story, more emphasis is given to her spouse Thomas who is a very volatile character always on tenterhooks & ready to burst at all times. Their failing marriage along with Thomas’ drug abuse is the focal point of this novel. Both characters have tendencies to be dependent on an external factor to feel ‘fine’. While Cassi finds her solace in her husband, Thomas’ finds his in drugs & extra-marital affairs. The author ultimately relates how intelligence does not necessarily mean one can be successful in life……only when one is happy with ones state of life & takes each day as it comes, only them is one in total control of ones faculties. The bureaucratic interference in surgery as well as the drastic decisions they take to make a mark in the market is also put forward very well & delicately in the novel. How business has changed the face of medicine especially surgery is narrated in most of the chapters in a very interesting way as well as the loopholes that such groups want to keep a secret or shield from the public eye. In the novel it is shown that truth always does not garner importance if it interferes in the working of the bureaucracy. The story shows the reader clearly how the fine line separating medicine & business is slowly disappearing. Thrilling & a challenge to read, Godplayer is a real looking glass into the workings of the human mind &………….how at times it is simply too easy to kill.